AmCham wrapped up its annual door-knock mission in Washington earlier this week after holding 89 meetings with US administration officials, members of Congress, international financial institutions and think tanks. AmCham President Tarek Tawfik described the mission as “the easiest of all the past years”. The mission carried key messages to the US, relaying Egypt’s growing political role in the region, its soft power and influence, and success stories — a successful economic reform programme, the emergence of the country as a regional gas hub and the maintenance of friendly relations with Israel. Other messages were sent from the US to Egypt. It was made clear Egypt’s human rights record and the proposed constitutional amendments remain a concern for Democrats in Congress, though not so much for the Trump administration. Critics of the changes to the constitution expressed concern that the judiciary’s independence would be undermined. 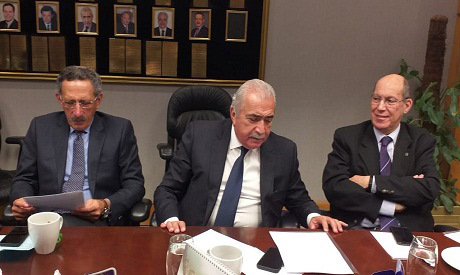 Corporate America also welcomed a US-Egypt trade agreement which Egypt-US Business Council Chairman Omar Mohanna said could come to fruition under the current US administration. Republican Congressman Jeff Fortenberry told reporters during the mission that Egypt needs to “retell its story” to improve its image in Washington. Egyptian-US relations have been “outsourced” to military brass on both sides at the expense of other aspects, including cultural and media cooperation, said Fortenberry. He argued Egypt must do a better job of highlighting its efforts to create conditions for stability and promote healthy nationalism. Everyone should be made aware of the “incalculable” consequences of Egypt’s stability being shaken, though “Egypt has to get over its entitlement mindset that it deserves to be the leader of the Arab world” and must instead “go re-earn that position”, he said. Alternate Executive at the Board of the World Bank Ragui Al-Etrebi told reporters that Egypt’s position in the Doing Business Report is expected to improve this year on the back of “the first reform programme that Egypt completes successfully”. Risk conditions are improving but the ballooning population remains a point of concern, Al-Etrebi said. Executive Director Merza Hassan was also full of praise for Egypt’s “smart” use of debt to build infrastructure and improve the business environment. The door-knock mission comprised a delegation of 35 top-level executives representing US companies and businesses that operate in Egypt. They visited Washington between 31 March and 5 April.